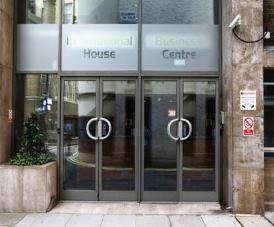 Yarmouth Place serviced offices is a cost effective option that is situated in a prime location in London. The interior of the building has been refurbished to a high standard and has a number of features within including meeting room facilities and kitchen points. There is a choice of office rental sizes available at the Business Centre that are fully furnished and ready to move into instantly. Fast internet access and telephony is in place and digital phone handsets with answering machines are supplied if required. With good transport close by, these offices to rent in Yarmouth Place have a staffed reception to assist with day-to-day activities and to welcome clients that visit the property.